Who doesn't love hot, cheap, greasy food made with good ingredients? 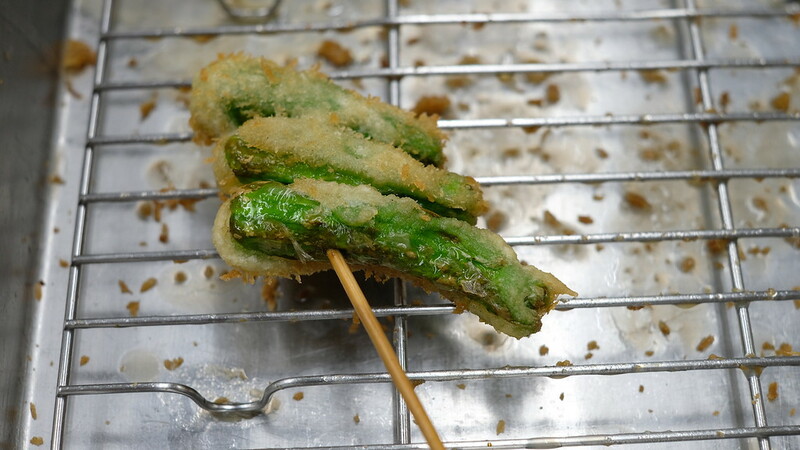 Get your kushikatsu fix at Yaekatsu in Shinsekai, where they've been perfecting the art of deep-fried skewers since 1949. Kushikatsu refers to a genre of deep-fried, battered skewered food that you eat dipped in a thin, black, sweet-tangy tonkatsu sauce. 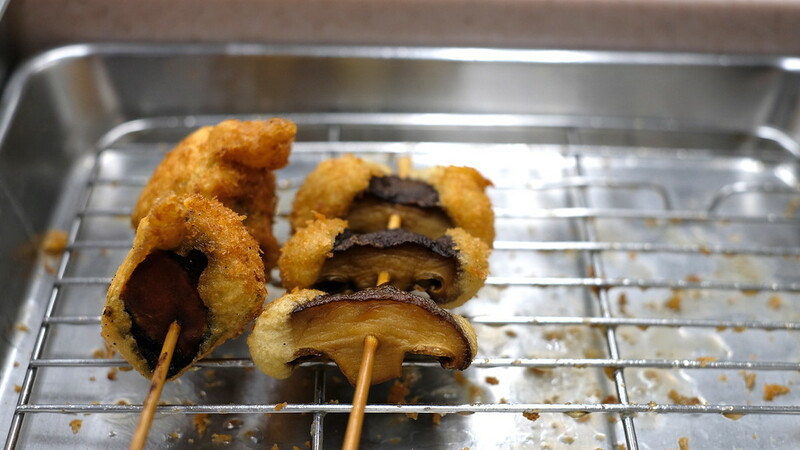 Anything can be kushikatsu: meat, vegetables, cheese, and even fruits. It is easy to love. Hot, greasy, deep-fried food is a universal culinary language that everyone who's ever been hungover at 2am understands. 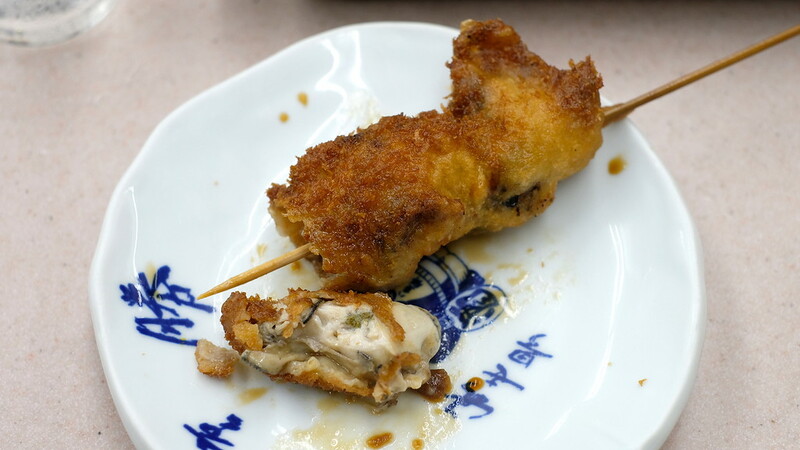 Eating kushikatsu in Shinsekai is still a quintessential part of the Osakan experience. Shinsekai may be gentrifying at a horrifying pace, but at least the kushikatsu restaurants there are still pretty solid. I like Yaekatsu. It's been around for at least half a century now, and if you go early enough in the evening on a weekday, you should be able to beat the dinner rush. (Such is the reality of this area popping up on tourist radars.) 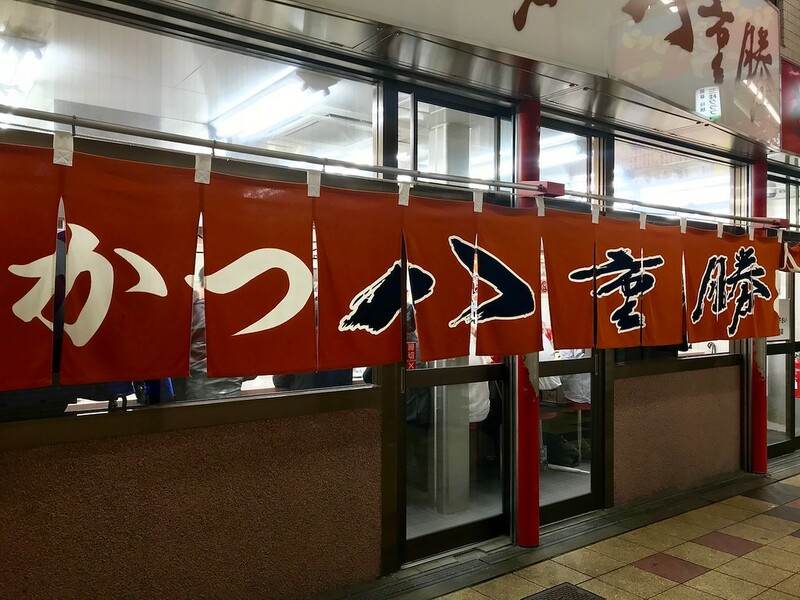 Even if you end up in a queue, the turnover at kushikatsu places, like ramen restaurants, is fast. Yaekatsu is not a restaurant you eat at for a genteel atmosphere. The bright, fluorescent lighting in here is reminiscent of classrooms or hospitals. No one's here for pretty photos - just lively counter-side dinners of hot fried food and booze to wash it down. 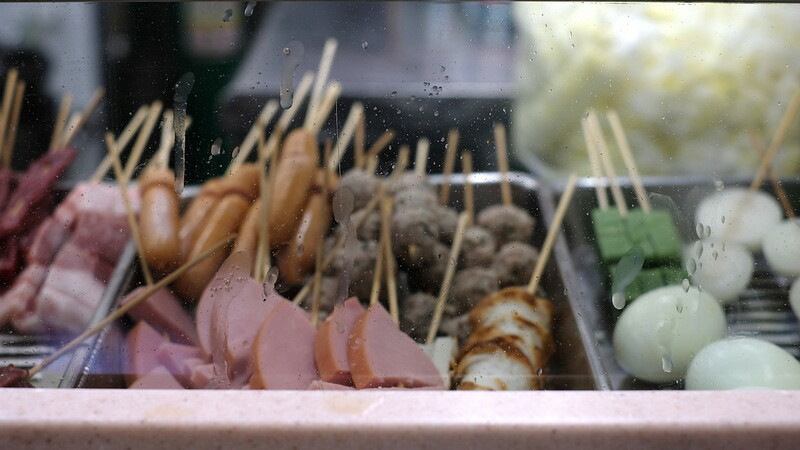 I like being here alone, ordering by the skewer or three, listening to the constant sizzle of hot oil. 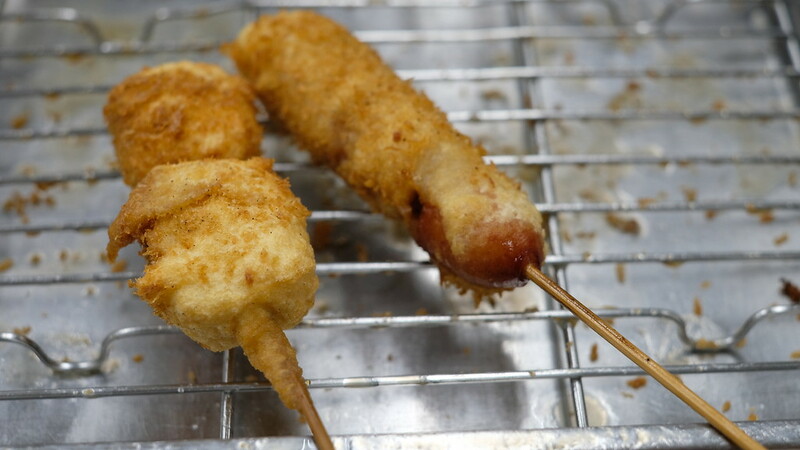 Kushikatsu is a fun, uncomplicated dish to eat. You need great ingredients, and a batter with a Goldilocks consistency - not too thick or thin, but just right. 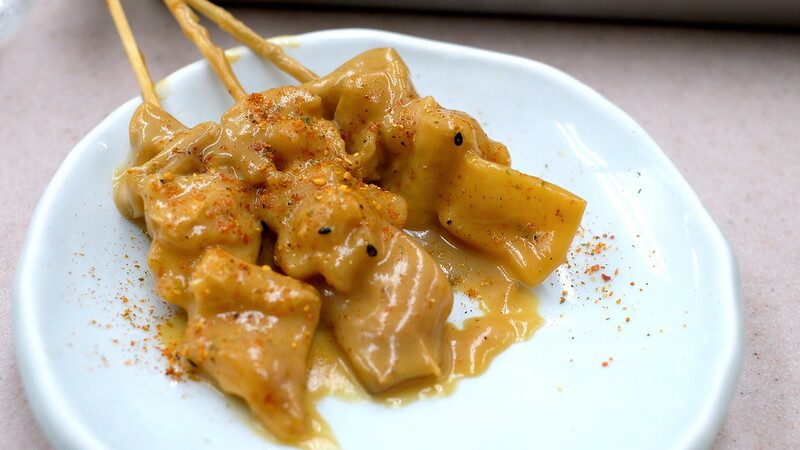 Some places mess up the ratio of ingredient to batter, but Yaekatsu's skewers usually strike a beautiful balance between the two. Sometimes it covers each skewer, and sometimes there's just enough on each one to let the ingredient shine through - such as on the shiitake mushrooms. 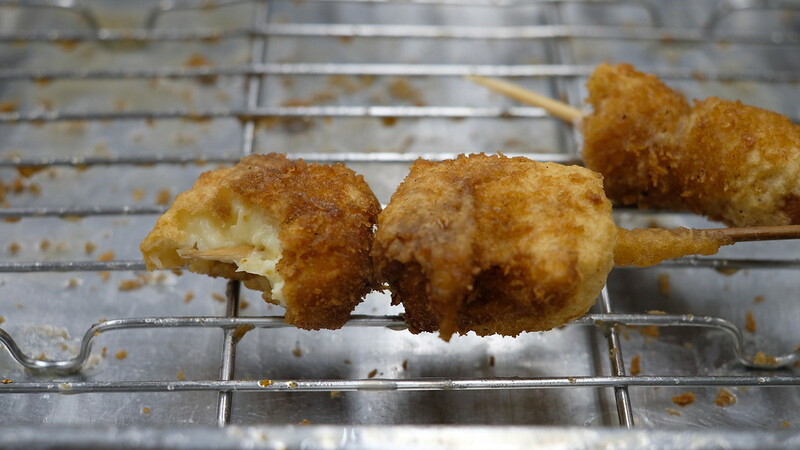 I like watching the cooks fry kushikatsu. The setup is like a mini assembly line of sorts. One grabs the skewers and dredge each one in batter, in ones and threes. The batter is smooth and velvety, and they adjust it from time to time with new infusions. He might twirl the skewers to coat it all in batter, or in the case of the peppers, drag it up the side of the bowl to drain excess batter before rolling it in the next bowl of panko breadcrumbs. Then he slides the entire skewer into the bubbling oil. It is all very efficient, minimal and economical actions, with little wasted movement. Several different ingredients go in at the same time. How impressive, when you consider the amount of of skill and practice to have the timing of each ingredient down when there are several different ones in the oil at any given point. All this takes place in the space of a few seconds, skewer-batter-crumb-oil, in that order, over and over again. What's good here? Pretty much everything you might want to eat, you'll like. Slices of kabocha squash turn creamy in their batter coating. Even if you don't like raw oysters, you might love them hot and molten and deep-fried. Who could hate juicy chunks of aubergine? Or cherry tomatoes that explode when you bite into them? Or cubes of melting cheese, or sweet prawns - almost better than tempura? 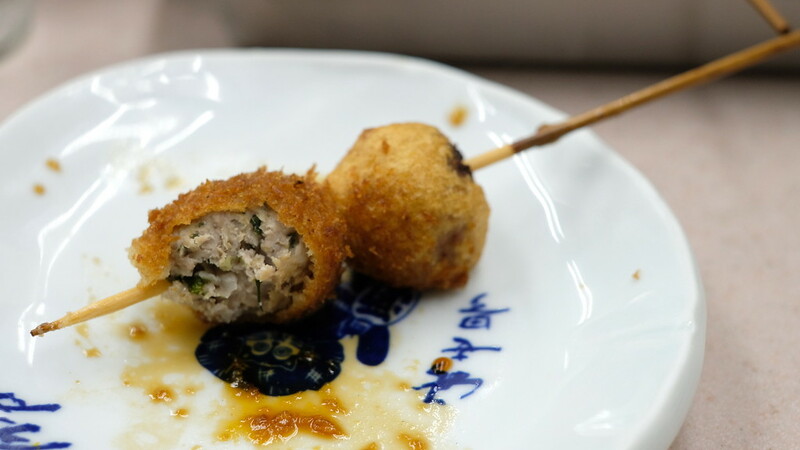 The pork meatballs in shiso, herbal and fresh, may be one of my favourite bites in Osaka. I could come back here for this skewer alone. The only thing I would not return for is the doteyaki. This is a classic Osakan dish of miso and mirin-stewed beef tendon, here presented to you in threes on their skewers. I love doteyaki but did not love theirs. I can see how people would: it is incredibly tender, with a buttery, creamy-sweet miso sauce. I find it too sweet. If you are with friends, it's worth trying. There are a few things Yaekatsu is pedantic about when it comes to customer behaviour. One is the use of smartphones - they will warn you gently but pointedly if you begin fiddling with your phone. Another is the no double-dipping rule. This is an obvious one, since it's unhygienic to dip a skewer into the sauce after you've taken a bite. A less obvious rule: once you've taken a bite, don't put the remainder of the skewer on the metal tray - transfer it to your own plate. One cannot help but eavesdrop sometimes, and towards the end of my meal, I overheard the lady next to me talking at her boyfriend. This is what she said: “Oh, how I'd like to eat - I want to eat more. I want eat this, I want to eat that, more of this and more of that, ah, how I'd like to eat!” She repeated variations on this at least twice before the both of them paid the bill and left. It was charmingly inane and entirely relatable. I wanted to say to her, girl, me too. She looked back longingly before exiting. I, too, wanted to keep eating until we ran out of skewers and restaurant hours. 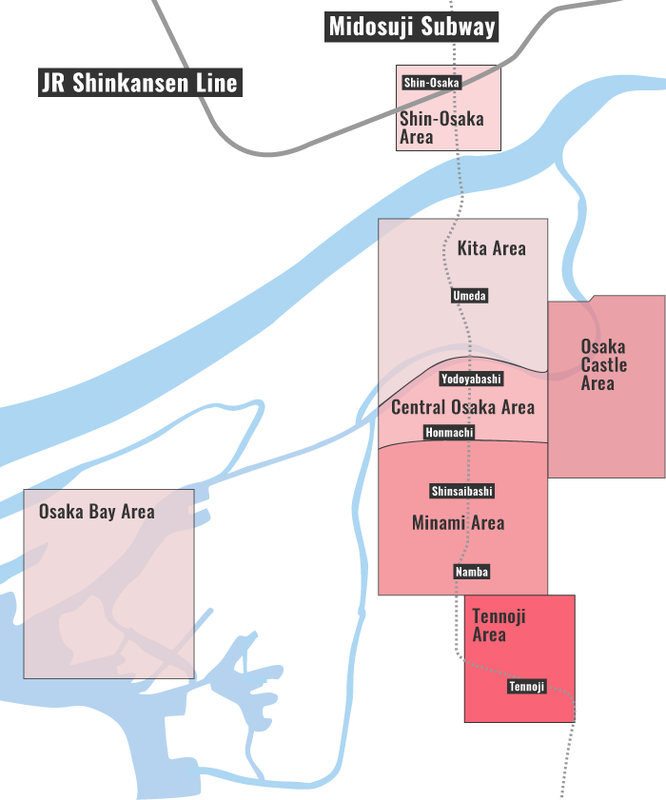 Directions: Take the subway to Dobutsuen-mae Station on the Midosuji line. Take Exit 1. Once above ground, walk straight and veer left into the tunnel. Walk through. 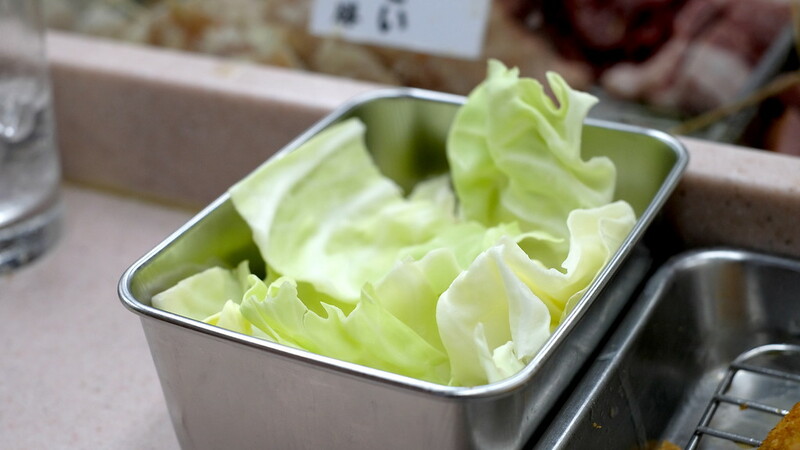 You'll arrive at Jan Jan Arcade, a narrow shopping arcade leading to Shinsekai. Yaekatsu is a few seconds or so into the arcade on your left.